In this paper we present new numerical approach to solve the continuous casting problem. 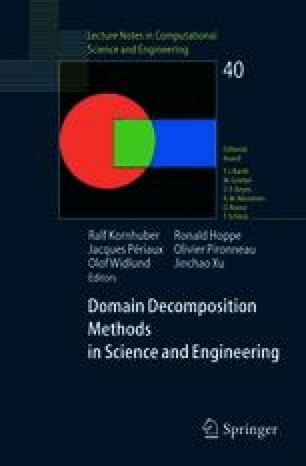 The main tool is to use IPEC method and DDM similar to Lapin and Pieska  with multilevel domain decomposition. On the subdomains we use multidecomposition of the subdomains. The IPEC is used both in the whole calculation domain and inside the subdomains. The calculation algorithm is presented and numerically tested. Several conclusions are made and discussed.